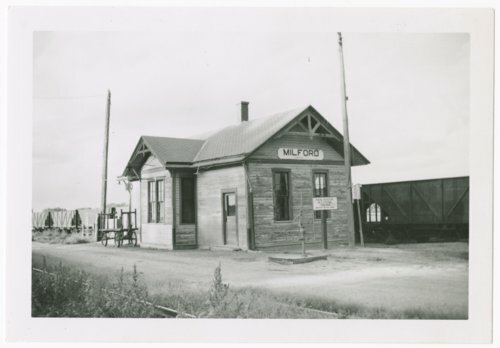 This photograph shows the Union Pacific Railroad Company depot in Milford, Kansas. In the background a number of gondola cars are visible. The depot no longer stands.